Autistic Disorder (sometimes called “classical autism”) is the most common condition in a group of developmental disorders known as the autism spectrum disorders (ASD). Classic autism is characterized by impaired social interaction, problems with verbal and nonverbal communication, and unusual, repetitive, or severely limited activities and interests (National Institute of Neurological Disorders and Stroke, 2005a). According to the Autism Society of America (2005), there is no known single cause for autistic disorder, but it is generally accepted that it is caused by abnormalities in brain structure or function. Brain scans show differences in the shape and structure of the brain in autistic versus non-autistic children. Researchers are investigating a number of theories, including the link between heredity, genetics and medical problems. In many families, there appears to be a pattern of autism or related disabilities, further supporting a genetic basis to the disorder (National Institute of Neurological Disorders and Stroke, 2005a). While no one gene has been identified as causing autism, researchers are searching for irregular segments of genetic code that autistic children may have inherited. It also appears that some children are born with a susceptibility to autism, but researchers have not yet identified a single “trigger” that causes autism to develop. Childhood disintegrative disorder is a condition occurring in 3- and 4-year-olds who have developed normally to age 2. Over several months, a child with this disorder will deteriorate in intellectual, social, and language functioning from previously normal behavior (U.S. National Library of Medicine 2004b). Childhood disintegrative disorder develops in children who have previously seemed perfectly normal. Typically language, interest in the social environment, and often toileting and self-care abilities are lost, and there may be a general loss of interest in the environment. The child usually comes to look very ‘autistic’, i.e., the clinical presentation (but not the history) is then typical of a child with ASD (Yale Developmental Disabilities Clinic, 2006). An affected child shows a loss of communication skills, has a regression in nonverbal behaviors, and significant loss of previously-acquired skills. The condition is very similar to classic autism. Childhood Disintegrative Disorder must be differentiated from both childhood schizophrenia and pervasive developmental disorder (PDD). The most important signs of childhood disintegrative disorder are a loss of developmental milestones (U.S. National Library of Medicine, 2004b). The child tends to have normal development through age 3 to 4 and then over a few months undergo a gradual loss of previously established abilities listed above in Diagnostic Symptoms (e.g., language, motor, or social skills). The cause is unknown, but it has been linked to neurological problems (Yale Developmental Disabilities Clinic, 2006). • An early period of apparently normal or near normal development until 6–18 months of life. • A period of temporary stagnation or regression follows during which the child loses communication skills and purposeful use of the hands. Pervasive Developmental Disorder, Not Otherwise Specified (PDD-NOS) is a developmental neurologic spectrum disorder, occurs in 10 to 12 of every 10,000 children. Children with PDD-NOS either (a) do not fully meet the criteria of symptoms clinicians use to diagnose any of the four specific types of PDD above, and/or (b) do not have the degree of impairment described in any of the above four PDD specific types. PDD-NOS will present similarly to the kids who have ASD (some people argue that these conditions should be combined as one) but will have a lesser degree of a severe impairment. 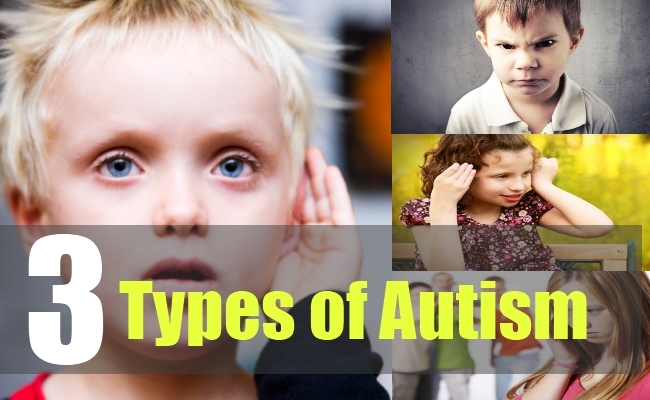 These kids are more likely to be verbal and have some degree of verbal or non-verbal effective communication, yet they must have the autistic features and a severe impairment in social interaction, communication, or repetitive stereotype behavior. This term is reserved for children with a severe impairment who do not fully qualify for any other autistic diagnosis, due to an age of onset or combination of autistic features. Asperger Syndrome is a neurobiological disorder named for a Viennese physician, Hans Asperger, who in 1944 published a paper which described a pattern of behaviors in several young boys who had normal intelligence and language development, but who also exhibited autistic-like behaviors and marked deficiencies in social and communication skills (National Institute of Neurological Disorders and Stroke, 2005a). Overall, people with AS are quite capable of functioning in everyday life, but they tend to be somewhat socially immature and may be seen by others as odd or eccentric (Nemours Foundation, 2005). They have higher intelligence and communication skills than those with classic or more severe forms of ASD, but they display most, if not all of the other characteristics of ASD, with their primary difficulties manifested in poor social interactions (Hallahan & Kauffman, 2006). Contact me today for the best consultation.